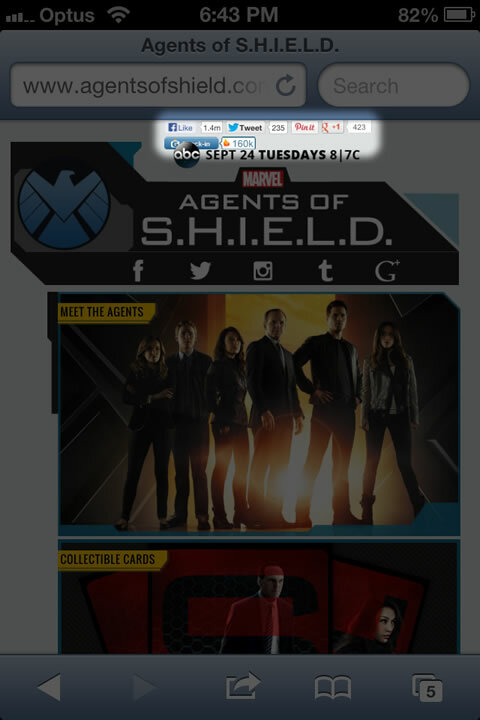 Home » Blog » Misc » Agents of SHIELD Responsive Website Design FAIL! Many of you may be watching and enjoying the new TV series from Marvel, Agents of SHIELD – I know I have been! The movie-length pilot episode last week here in Australia was awesome, although I felt that the 2nd half of the pilot wasn’t as exciting as the 1st half. So hopefully this week’s episode makes up for it! Oh, that’s tonight! Woohoo! I’m joking – how could I forget! Well when I went to visit the Agents of SHIELD website, I was a little let down and put off to be honest! For a show that was spoken so highly about and that had built up a lot of interest leading up to the pilot, the website didn’t really do it much justice in my opinion. Let me elaborate for you on some of the things about the website which I didn’t think were required, not done well enough, and what generally annoyed me. As cool as the intro video was, I don’t think it was really needed. It is probably only really a problem for anyone trying to view the website on a tablet or smartphone via 3G. Even viewing the website over a slow wifi internet connection could be an issue. Well for me it was slow and clunky on my iPhone. And even though there was the option to skip the video, I’d press the yellow “Skip” button but it wouldn’t do anything! 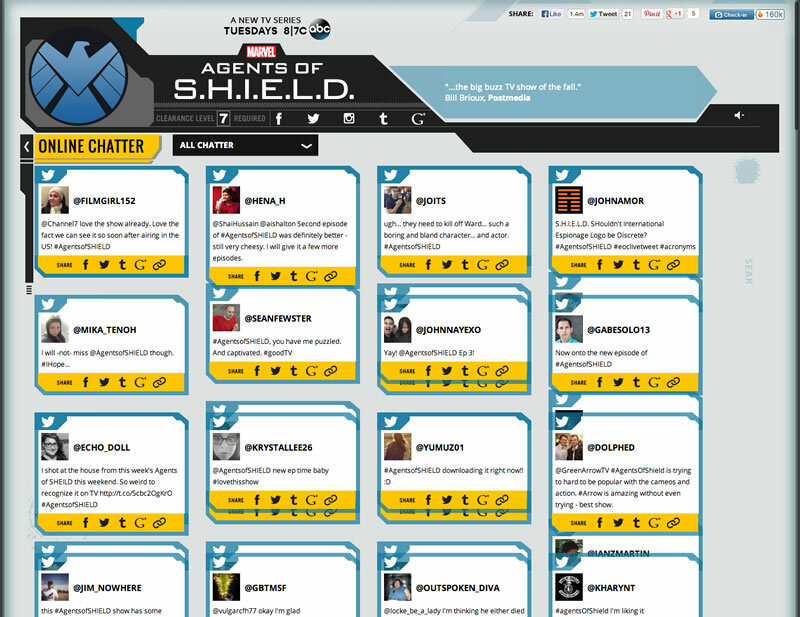 Therefore this could be a bug – so take note Agents of SHIELD website maker people! Adding background music to a website was cool… back in the 90s perhaps! Ok, the background music wasn’t that bad, it sounded cool for a short while, but then it got monotonous. Luckily there was an option to turn it off! Not all websites give you that option. It’s almost like those particular websites that don’t have a on/off button for the background music, they want to drive their visitors insane, and as a result – drive them away from the website! My guess is the reason that the URL doesn’t change in the address bar is because the pages are all loaded within the browser dynamically using AJAX. This quite an efficient way of loading the content of the website, but it doesn’t make it easy for someone to share a particular page or piece of content within the website. I decided to do a little test. I copied and pasted the URL above to the Meet the Agents page. The page loaded successfully, with the URL visible in the address bar. I was then able to select another page to view via the menu, e.g. http://www.agentsofshield.com/cards. To my surprise, the page loaded just fine whilst updating the URL in the address bar too. So there is a way to share individual pages if you wanted to – even if it is a bit of a tedious process for some people. The responsiveness of the website, or lack there of! This would have to be my main concern with the website. Usually you’d assume that a website for a movie, TV series or video game would be optimised to be viewable across most devices. Not that the creators of the Agents of SHIELD website didn’t optimise it and make it responsive; I just felt that they could have done a better job. For one, the mobile version of the website was quite clunky. And I had issues with trying to skip the intro video at the start. The only way I found how to skip it was to play the video, then just stop it, and then you’d be redirected to the Home page. This may be a bit annoying but it was a workaround at least. This is a really minor issue. 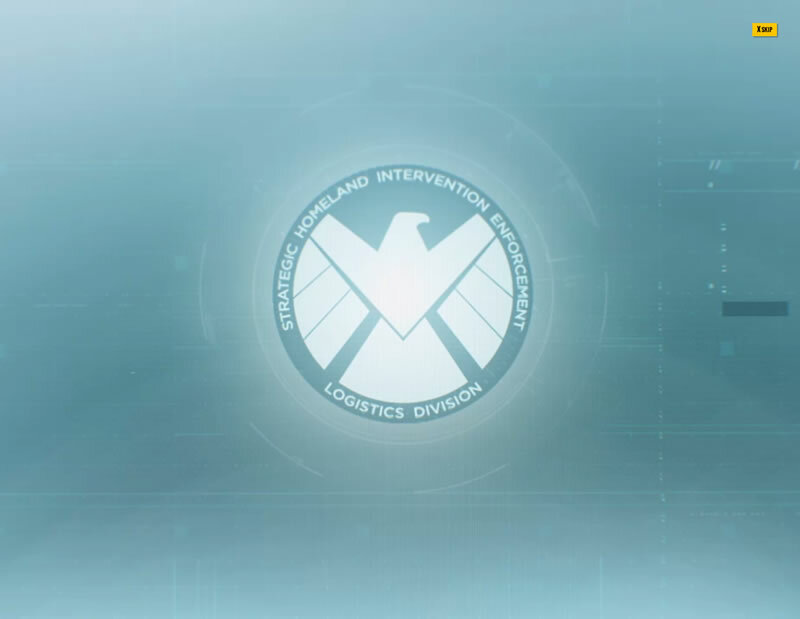 But on the mobile Agents of SHIELD website, the social links at the top of the page could be spaced out a bit since they look a little cluttered. Especially the “Check-in on GetGlue” link which overlaps onto another line. Can you find any other problems with the Agents of SHIELD website? I could’ve probably spent more time digging, but I thought – why waste anymore time! I like the Agents of SHIELD show too much to keep on looking at all the negatives about the website, so I decided to build a bridge! But if you want to check out the website yourself and share anything below that you may find, then be my guest!